Tammy grew up in this area and has been with Graves Mill Storage since it’s inception in 1997. 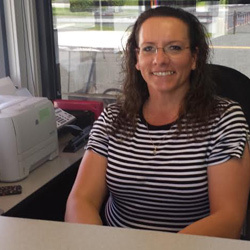 Tammy can answer nearly any self storage questions, as she’s experienced it all. She cares about what unique storage needs customers may need, and helps cater to find the right fit. Since she has worked in the storage business for almost 20 years now you could call her a Storage Solutions Expert! All of our customers love her and brag about the individualized customer service she provides. Some customers even pay their rent in person just so they can stop in and say hello to Tammy! We’re proud to say “She’s the Best, and she’s our Manager”.